In these Magna Carta videos featuring Jay Z and his thought process behind making this album, Jay is opening up to his fans about well, lots of things. Jay is very introspective on this album from what we can tell from these videos so far. He discusses slavery, pop culture, his love for his wife, I mean he is putting it all on the table. 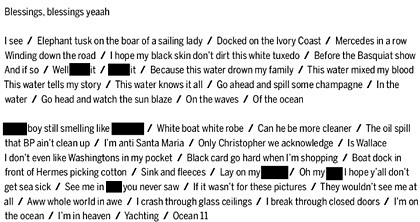 In the latest video released (below) Jay briefly discusses the meaning behind a track called Jay Z Blue. You can tell from the title that it has to do with the love of his life, his daughter with Beyonce- Blue Ivy. 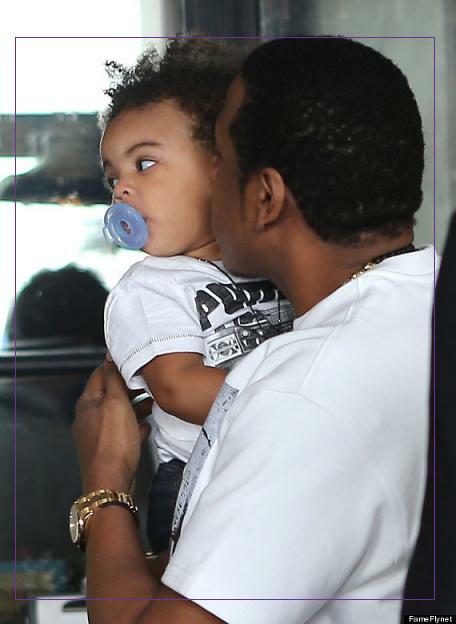 We've seen Jay Z toting her around and spending lots of time with her. I have always known that he'd be a great dad, but according to this song- he's not always been so sure. Check Jay Z speaking about the importance fatherhood below. Happy Birthday Jay!! New Music - Close to You! I'd like to wish my little brother Jay a very happy birthday! 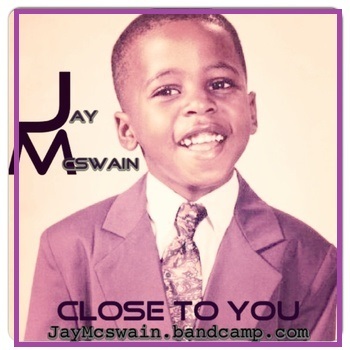 Check out his brand new record, Close to You, produced by SL and SciFi. The track feels so good!! This is Jay's first official release for his upcoming sophomore project out this year! On the track Jay speaks about his desire to just be around his woman. Now, yall know.. I don't care to hear my brother singing no "shoulda coulda wouldas" lol! I love this record though! This guy is incredible! I'll be changing all of my avis to this cover today! Hope you'll join me to wish my little brother much success and a HAPPY BIRTHDAY! This man's mind is amazing to me. Watch as Jay Z explains his already controversial lyrics to a song we haven't even gotten to hear yet, Oceans.Jay Z is set to release his new album Magna Carta Holy Grail on July 4th of this year. The announcement came as a surprise last week. Ever since Jay has been dropping more and more details on the album. This is some real stuff Jay is talking about. Check it out below. 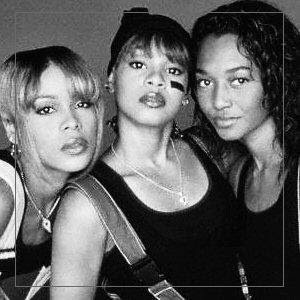 Any TLC fan knows that TLC will always and forever be made up of T-Boz, Chilli, and the late Left Eye. Chilli and T-Boz continue to make that known. Well, we learned earlier this week that the late rapper Lisa "Left Eye" Lopes- though absolutely the third piece to the puzzle, is not on the remake of the infamous group's hit Waterfalls. Left Eye's verse on that record was something special, as were all of her verses. So,why would they not use her vocals on the 20th Anniversary remake? Why would they dare to use someone else? According to Left Eye's sister Reigndrop she nor her family had any knowledge of the women using someone else for Lisa's part. She was made aware of this online and felt like her family should've known before the record was made public. According to T-Boz, their management reached out to Left Eye's brother in advance to let him know about the remake. My hopeful conclusion is that Reigndrop just doesn't know what's going on, because if she did she wouldn't have spoken to TMZ. The ladies did not just choose to exclude Left Eye from this historical moment. They didn't use her vocals because- they can't. T-Boz and Chilli have been denied the rights to Left Eye's vocals. Without that right they don't have access to the soundbites and therefore they had to find another way to remake the classic record. In an effort to still give fans a treat, they decided to have Japanese artist Namie Amuro rap a verse in Left Eye's honor. According to Chilli, Left Eye not only met Namie before she passed away, but she'd approve of them choosing her to cover the rap portion of the song. Namie is a pop artist out of Japan, and a huge TLC fan herself. It makes sense that they'd use her. Chilli and T-Boz both are still adamant that she is not a replacement! Sometimes people speak or move out of emotion, this is a dangerous practice. In this case it appears that Left Eye's family just felt slighted and spoke too soon. It's my understanding that T-Boz and Chilli have attempted to obtain the rights to use Left Eye's vocals before, but they've been denied. So, they did what they had to do to move forward. I'd hate to think that a legacy such as theirs is under scrutiny over such a basic misunderstanding. I hope fans will see this as what it really is- a legal issue- and not T-Boz & Chilli turning on Left Eye's legacy. I don't believe they'd ever do that. Check out more information at Yahoo.com! I'm in Love with New Cosmetic Line LivNova! There's been a trend in fashion and makeup in the last couple of years. High fashion ads have always pushed the envelope with women and bold/bright cosmetics. For the sake of an appeal or art, it's nothing to see a spread with a model rocking a bright blue lipstick or some bold green. More recently the everyday woman has stepped out of the shadows and started to have a little more fun with their make up choices. I'm one of those women. This is why I was so excited to learn of LivNova Cosmetics! I'm in LOVE! This brand features bold, beautiful vibrant hues of lipstick, eyeshadow & lipgloss. The creator, Jen bases the company off of the mantra, "Liv Chic, Liv Free, Liv Nova". She hopes to encourage fearlessness and confidence in all walks of life. Jen wanted to craft highly pigmented colorful cosmetics, but with a natural approach. The line is crafted from Shea butter, cocoa butter and other moisturizing ingredients, and let me tell you they feel like so on your lips! She literally has a billion different colors and I've rocked a few myself. My favorite so far has to be Hottie, a perfect pink for my brown complexion. It pops just enough and it's a lipstick, but it's not dry or pasty. It's light and feels great on. I also love my New Thing Lipgloss. It's a light purple and you wouldn't think to wear that color, but on me it's SO cute! I'm super excited and more confident to rock these fun colors! I also love LivNova because they give back.The company has participated in several charitable causes, including providing makeovers for victims of domestic violence. I love that the company is focused on both the inner and outer beauty of women! Check out this really beautiful and inexpensive line of cosmetics, I am hooked! 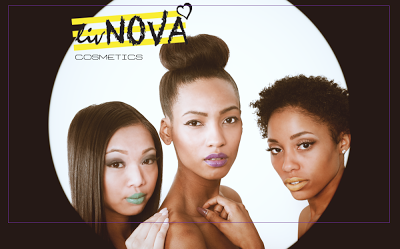 They are on twitter and Instagram as @livnova, and on Facebook as livnovacosmetics! CBE's artist Sevyn recently released an acoustic cover of Aaliyah's Come Over. It was so well received that I think the accomplished songwriter decided to release something similar. This time Sevyn opted to record a video of her new single, It Won't Stop. In the song Sevyn expresses her gratitude for having an amazing man in her life. The video, much like the Aaliyah cover is simply Sevyn and a guitarist- it's raw and real. Sevyn- though recently introduced to a brand new crowd is a very accomplished singer/songwriter already. Her first release, I Like It has been jamming in my iTunes since the day it dropped. I knew she was gonna be a problem a long time ago. She's just something new and fresh, and she's talented as I don't know what! Love this girl, and I can't wait for more from her. It looks like Daily Mail reporter Liz Jones kept Rih Rih's name in her mouth a little too long. An article published yesterday under the headline, "Pop's poisonous princess: Glorying in drugs, guns and sleaze, Rihanna's toxic role model for her army of young fans, says LIZ JONES" sent the Navy into a frenzy and Rihanna fought back on her Instagram account. Yes! 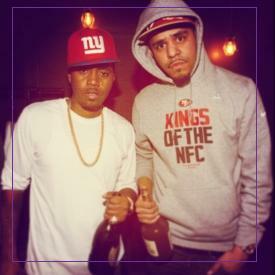 Nas Hops on J. Cole's track! Let Nas Down REMIX ft. NAS! Yessssssssssss! I can't say anything! We've been waiting for this! J.Cole was rumored to have a song called Let Nas Down. Rumor had it that Nas felt some kinda way about it. Well.. just now Nasir dropped this remix! He jumped on Cole's ode... wowzers. The original record is such a heartfelt track, Cole bared his soul. He'd spent years admiring Nas' lyricism, but battled in his own career with being that dope lyricist or being commercial. Few Hip Hop artists these days can master being both. After getting a call saying that Nas wasn't feeling a record he'd dropped Cole was hit hard. Somewhat insulted, but inspired at the same time- he recorded Let Nas Down. Nas comes on this remix and clears all of that up. Get J. Cole's Born Sinner in stores now. Here Cole's original and Nas' response below. This is why I love Hip Hop! Drizzy Drake Drops New Music & Nothing Was the Same Release Date! Drake shut twitter down in the wee hours of this morning dropping a link to some new music and a release date for his next project. You gotta respect Drake. He's talented yes- but he's also very consistent. He's literally in his own little lane creatively, style wise, lyrically.. he's not in any way like the rest, and that's why fans love him. Drake's flow is killin these records- especially that Motion joint. His good friend J. Cole murdered that Jodeci Freestyle too. I have to admit I'm finally seeing why my fave Jay Z has hyped Drake since the beginning, dude is solid. Check out his new music below. New @ChrisBrown video feat. Aaliyah, "Don't think they know"
Chris Brown paid tribute to the late singer Aaliyah Houghton, who died in a tragic airplane crash in 2001. The video showed Chris in underprivileged neighborhoods and bringing awareness to plight in cities across America. Three COOL Things You'll be able to do with Instagram for Videos! Wowzers.. can't say I didn't see this one coming. With the app Vine taking over as it has been, it was only right that another popular app- Instagram step it's game up. Instagram allows users to share pictures with one another. The photos can be filtered, edited, collaged.. all sorts of things. Being able to share photos in real time with your friends and online pals has made Instagram a huge hit among social media heads. 1.) Filtering! This is one of the most loved properties of Instagram. Being able to edit and change the appeal of a photo with filters not only allows for enhancing photos, but it lets users get really creative! Insta for Vids will allow the same filtering here. Insta for vids won't be the first to have filtering though- users on Social Cam have had it for a while. 2.) Potential to export Vids as gifs! This makes me excited. Being that I'm highly amused by gifs (short video clips) on twitter.. the idea that an app will now allow users to make those from their own videos and quick is interesting! This is going to be fun!! *This features is not confirmed on the first release, but I've been reading around that it's a possible update.- but would be epic right?! 3.) Access to videos on your phone! Vine only allows users to record and use videos created with the app. 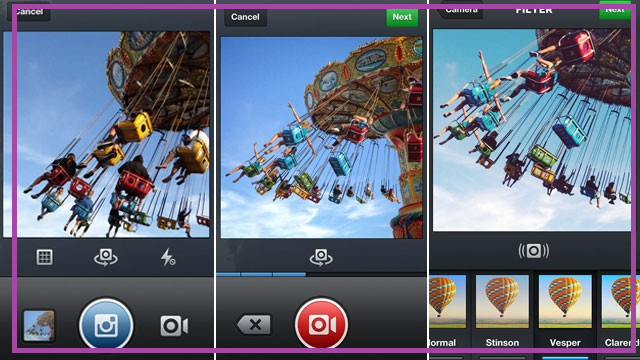 Insta for vids will allow users to post videos already stored on their devices. This is a win anyway, considering how often "Throwback" posts are put up on social media sites! Instagram for videos will have loads of other cool features as well, but these three are sure to be my faves. What makes all of this even MORE interesting? Well- Twitter owns Vine, and Facebook owns Instagram......... it's the war of our ages!!! I'm sure Vine will be able to stick around a little longer, but it sure does have some heavy competition! One of the most recognizable faces on television has passed away. 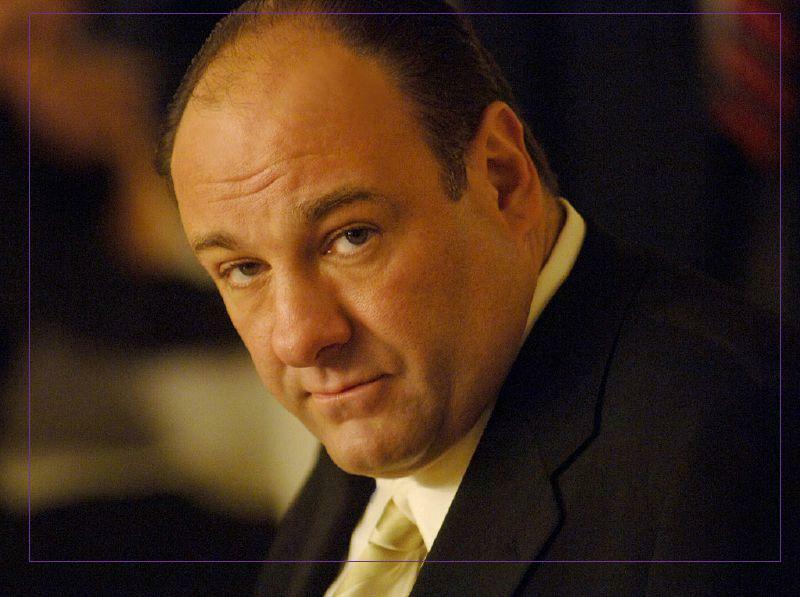 James Gandolfini better known as Tony from HBO's hit series The Sopranos died this morning in Italy. According to sources Gandolfini was there vacationing and planning to attend the 59th Taormina Film Festival in Sicily when he apparently suffered a heart attack. Celebrities and fans alike have shared their condolences for the loss of an actor who was almost too good in his role on the show. Fans of The Sopranos swore by him and his ability to really make his role as a street boss believable. He won three Emmys for his character on the show. Though we're saying goodbye to him, his career will live on through the show he was hugely responsible for making successful. Gandolfini was 51 yrs. old, and the new father of a daughter born late last year. He is survived by his her, his wife, and a teenage son. May he rest in love. Gallest is probably most known as the sibling of one of the biggest artists to ever exist, but to many who have paid closer attention, he's a stand alone artist in his own right. A few months ago I featured his mixtape entitled "In My Mind" as an introduction for many to the his music. The mixtape laced with covers of some of music's most jammed to records of last year impressed thousands catipulting our understanding of just who Gallest the artist is. the 25 yr. old blasted to fans as only she could. According to reports Rih was the loudest in the building cheering on her bro. Not surprised- her admiration for her two brothers has always been obvious. The feedback on twitter was very clear- he shut his show down!! Gallest credits Jay Z and Outkast among his musical influences. Their versitility and word play inspire his creativity. One listen to his flow and you can tell this guy is the real deal. His lyricism and the way he rides the beat are both signs of someone honing their craft. What I can really appreciate is his desire to work his way through it on his own. With In My Mind still jamming on playlists all around the world- hip hop heads are buzzing about what he has to offer. Keep an ear out for more to come from him! Congrats to Gallest on a great show in London. Jay Z & Samsung Make the Rules with New Album Magna Carta Holy Grail Out July 4th! Seriously. What do you do when you've done it all? You do it over again, but like it's never been done before. This is making the Blueprint.. the pattern to follow... this has been Jay Z's way for as long as I- a die hard fan-can remember. So, I was not surprised to learn this past week that he had something major up his sleeve with Samsung. When the press release subtly made it's way around the internet I was buzzed to find out just what IT was going to be. Well, here we have it ladies and gents. The guy has teamed up with some of his favorite producer friends for- AN ALBUM! Tonight during the NBA Finals, Samsung showed out by airing a really dope commercial featuring Jay and his buddies. 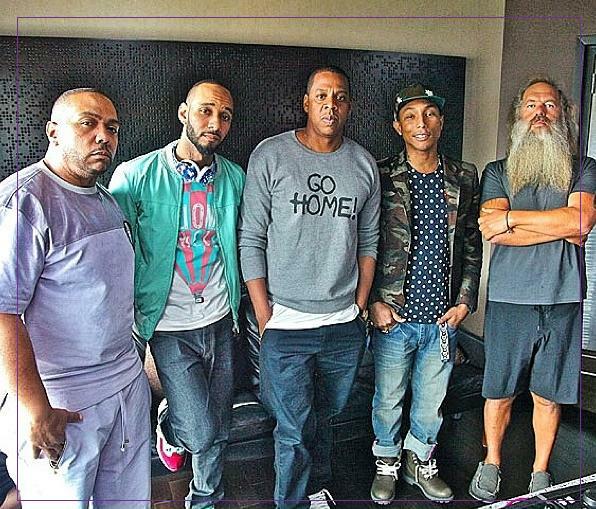 Jay, Rick Rubin, Pharrell, Timbo, & Swizz Beats were in a studio, all clowning around about this new music he's set to release. The commercial unfolds like a mini documentary. A few seconds in and boom.. you see Samsung's pitch "The next big thing"... this is major.. MAJOR! Samsung has basically pre purchased 1 million copies of Jay Z's new album out July 4th- Magna Carta Holy Grail. Samsung will basically give those copies away just days before the album is available for purchase via their app. This is genius for many reasons. First of all... it's a really cool way for Samsung to show off, and Jay wins as well. He's a visionary in this video- this is very well thought out. Consider what this will be for Jay in sales before his album is even released! Consider what this will do for Samsung in their plight to compete with Apple's ever evolving reach for cultural dominance. LISTEN! I love my fave for these types of moves. He's ten steps ahead of your favorite rapper- call him a mogul for a reason. Magna Carta Holy Grail July 4th. Break the rules. Make the rules. BOOM! A new trend among school aged children in Japan is grossing us all out, eyeball licking! Also known as "worming" or oculolinctus, the fetish has existed for a long time but videos on YouTube have popped up recently, showing people engaging in the act. She arguable has one of the most recognizable and beautiful voices of all time. Even if you can't pronounce her name- you know her jams. You sing along to "Tell me if you want me to, give you all my time...", her 90s jam with Groove Theory, or "you're the only other half that makes me whole", one of the best love/wedding songs ever recorded. 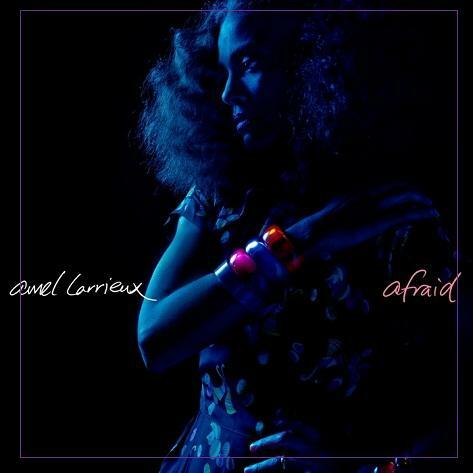 Amel Larrieux's voice happens to feel like a breeze against your face in really hot weather. Amel has been in the industry forever. She's one of those artists who other singers adore for her presence on a track. Her voice is light- it reminds me of a butterfly that gently lands on a flower. It's just beautiful. This is why I'm SO glad that she's back at it with her brand new single, Afraid. I'm SO happy that this gorgeous person is still making music. Timeless music at that. I'd encourage you to go get her albums if your playlists feel empty. If they are missing some heart and soul.. get AMEL! Check out her brand new release Afraid below. Yess.... feels so good! 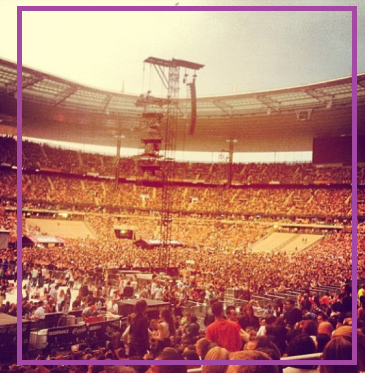 The above photo is of a stadium sold out to capacity at about 80 thousand people. There are only a few living artists who can do this on their own. You'd expect this type of crowd from someone with a long career, a billion records, and at least someone who has made it out of their twenties right? Well, no. This crowd came for a 25 yr. old chic from the left side of Barbados. Yes..our girl Rih Rih is currently strutting across the globe throwing stadium parties with her Navy. I mean, that is basically how Rihanna tours. She makes sure to meet fans, talk to them, exchange gifts, sneak kisses from their kids. It's literally a big family reunion for her and her Navy. It's also just another moment for the 25 year old mega star to solidify her place in music historih. From the looks of her career, she wakes up to make historih. This past weekend she performed in front of a sold out stadium of 80 thousand fans. EIGHTY THOUSAND people there.. just to see her. The Stade de France performance was marked as historical because Rihanna joins the ranks of only two other black artists to headline it...and check out the line up. She's rubbing shoulders with Prince and Tina Turner!!!!! Legendary! The historih doesn't stop there. Rihanna is also the youngest artist to headline the event. I swear this girl makes this look easy. The Navy in my twitter timeline took a moment to go back down memory lane. Some of them, like Shayla has been Navy from the beginning. She tweeted me that she remembers her first concert- a club show Rihanna did. She still has pictures and all. It's amazing to see Rihanna's fan base so devoted. It's so great to see them growing with her. It's great that they can see someone go from a supposed "one hit wonder" from the Island of Barbados to world superstar status. I'm here for it. Go offf Rih!!!! Wonder what she'll do next. It was the crash landing none of us will soon forget. The woman that was hit by singer Miguel after he leaped over a crowd at this year's Billboard Music Awards suffered a pretty bad head injury. Now it is reported that the impact may have caused brain damage. When Wale set out to record a remix to his hit record- Bad, it was only right that he got the baddest in the game to hop on it with him. While most people can't wait to accuse Rihanna of sleeping with anybody she's seen with- Wale made sure to clear up over the weekend that he and Rih are just friends who worked together on this record. The slow jam is just what you'd expect from these two. Wale has done his homework. 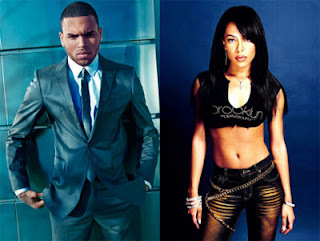 He's got Rih down to a tee in his rhymes and Rih is representing as well. I love how Wale speaks about everything from Rih's tough bad girl persona to how tight her crew is. A good MC does his homework. I'm diggin this Rihmix. It's available on iTunes right now. Wale's The Gifted will be in stores on June 25th! Yessss Bey!! Queen Carter performed her new jump off Grown Woman this past Saturday at London's Chime for Change. The event is an initiative by Gucci to promote better lives for women everywhere. So, needless to say this song was perfect to perform. Bey looks and sounds amazing as always. She's just Beyonce, not much more needs to be said. Grown Woman is said to be off of Bey's next album. Not sure when it's dropping but the new mommy is touring the world right now and dodging more pregnancy rumors with her hubby Jay Z by her side. Hopefully we have album info soon! It's about that time Bey! Kim Kardashian reveals she and Kanye are expecting a Girl! Last night Kim confirmed that she and Kanye are expecting a girl!! It seems like Kim has been pregnant for a while and it's been a very memorable pregnancy. What's been a little hush is whether the power couple is having a boy or a girl. A while ago a mysterious baby shower invite popped up online that clearly suggested that Kim was expecting a girl, but until last night no one knew for sure. During the premiere of her family show- Keeping up With the Kardashians, Kim revealed the news. "I'm so excited I'm having a girl, I know that's really what Kanye wants. He wanted a little girl." Kim said. That's so cute! I know Kanye is excited even though he's not as vocal in public as Kim is about their baby. So cool! You may remember that Kim and Kanye requested that friends and family don't buy gifts for their little girl. They asked that donations be made to a Chicago Children's Hospital instead. I'm here for it. Congrats again to Kanye and Kim. Throw it back KayKi! Remember This Jam?!! Listen... this hook and bridge!!!!!! I remember Hi Five and this song in particular from the Sister Act II Soundtrack. I've been jamming this all week, so.. thought I'd share it. Whew! This record feels good! RIL Tony!